Beloved husband, father, grandfather and friend, Phil Simpson, passed away in his sleep early on September 23rd at Mesilla Valley Hospice, succumbing to Parkinson’s disease after battling it for five and a half years. Phil was born in Albany, GA on March 17, 1935 to Albert Carroll Simpson and Maddie Lucille Phillips, and graduated from Thomasville High School in 1953. He leaves behind Patty Hackett Simpson, his wife of twenty-seven years; his son Philip Bannister Simpson and daughter-in-law Penny Thomas Simpson and their children Mark Bannister Simpson and Shannon Carole Simpson; his daughter Amy Simpson and son-in-law Glenn Landers and their daughter Annabel Simpson; and his brother Carl Tucker, formerly of Thomasville, GA. He was preceded in death by his daughter, Carole Simpson, and is survived by the mother of his children, Beth Bannister, and by Patty’s children, Ken and Tracy Hollister. He was a talented engineer and teacher, earning a B.S. in engineering from the U.S. Naval Academy in 1958, followed by Master’s degrees in Aerospace Engineering from the University of Colorado, and in Chemical Engineering, specializing in Environmental Pollution issues, from UCLA. 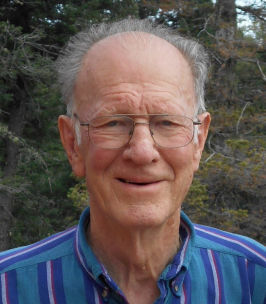 He taught astronomy, mathematics and physics for Valley College in San Bernardino, CA, Chapman University in Orange, CA, NM State University in Alamogordo, and Eastern New Mexico University in Ruidoso. He served 21 years as an Air Force officer, operating a radar station within sight of North Korea for a year before becoming a guidance and navigation system analyst. After retiring from the Air Force, he became the first director of the Clyde W. Tombaugh Space Instruction Center in Alamogordo, NM, where he wrote and presented the first planetarium programs shown there. 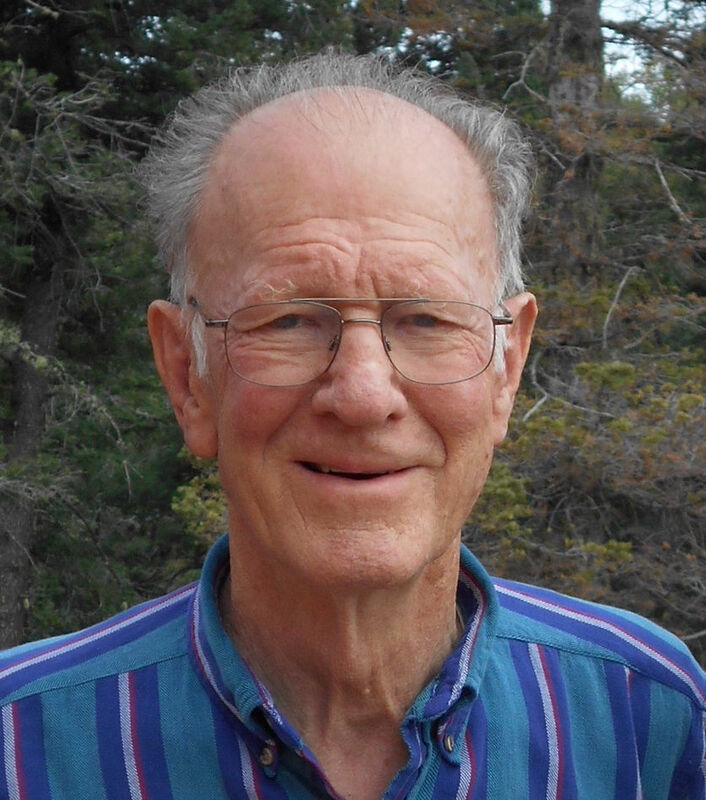 He then embarked on a second career at Northrop Grumman, where he was able to combine his astronomy and navigation system expertise to help design the astroinertial guidance system for the B-2 bomber, and the telescopes for the Space-Based infra-red System (SBIRS), earning four patents along the way. Phil was widely known for his lifelong fascination with astronomy, beginning at age eight when his father showed him the star Betelgeuse. After his second retirement, he and Patty bought property on a mountaintop outside Cloudcroft, NM with its own observatory, where he enjoyed viewing and photographing the stars from an altitude of 9,000 ft. There he realized his long-held dream of writing a book about the stars, Guidebook to the Constellations, published by Springer in Jan. 2012. Based on a series of “Constellation of the Month” talks for several astronomy clubs, his book includes myths explaining the constellations we know today, directions and charts for finding the constellations, and over 240 of his own images of galaxies and nebulae showing how they appear in both photographs and in small to medium sized amateur telescopes. Phil was very much a family man, a man of high integrity, and an avid reader, who professed one of his hobbies to be “thinking.” He loved children, animals, and classical music. His sense of humor was highly appreciated by children and adults alike, and since he was a quiet man, when he spoke, people listened. His friends and family appreciated him for his warmth, his humor, and his steadfast loyalty. A drop in open house will be held from 2 to 4 pm on October 21st, 2018 in the The Good Samaritan Society in Las Cruces (Building E, East Parlor), 3045 Buena Vida Circle. The family requests that in lieu of flowers, friends and family donate to the International Dark-Sky Association, the Southwest Parkinson Society, or to Mesilla Valley Hospice. Arrangements are with Getz Funeral Home 1410 E. Bowman Ave., Las Cruces NM 88001. Please visit www.GetzCares.com to sign the local online guest book. To send flowers to the family of Albert Phillip Simpson, please visit our Heartfelt Sympathies Store. We encourage you to share any memorable photos or stories about Albert. All tributes placed on and purchased through this memorial website will remain on in perpetuity for future generations.